Whether you want to bring an authentic pub feel to your home bar or you are looking for a way to keep your bar free from unwanted spillages, this Corona Wetstop Bar Runner is perfect when serving up cold pints! The nitrile rubber base keeps the moisture off the shiny surface of your bar and the 100% polyester pile top protects your bar surface and is designed to soak up liquid. 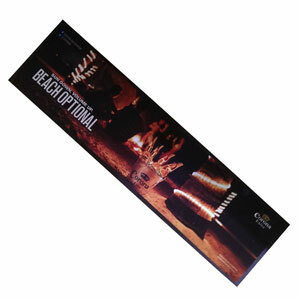 With an official Corona motif featuring a night beach scene, this stylish bar runner is ideal for bars, pubs, home-bars or makes the gift for beer lovers.